Sergi Girona received the award during the 24th Night of Telecommunications and Information Technology for his professional work in 2018. • The Director General of the DG Connect of the European Commission, Roberto Viola, has also been awarded. 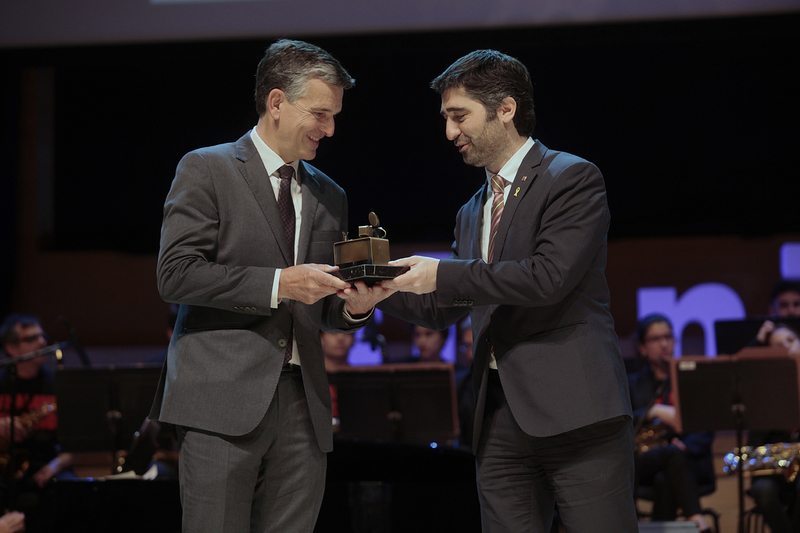 The Operations Director of the Barcelona Supercomputing Center (BSC), Sergi Girona, has been recognized with the Alan Turing award to the CIO of the year during the 24th Night of Telecommunications and Information Technology. The event, which took place yesterday, is jointly organized by the Catalan Association of Telecommunication Engineers (Telecos.cat) and the Official College of Computer Engineering of Catalonia (COEINF). The Alan Turing Award recognizes the CIO (Chief Information Officer) who has stood out for his professional work at state level during 2018. Sergi Girona is Doctor in Computer Engineering from the UPC and since 2004 holds the position of Director of the Operations Department of the BSC. In 2017 he was responsible for the implementation of the new MareNostrum 4 supercomputer. He is the manager of the RES (Spanish Supercomputing Network), and he is also an active member of the PRACE organization (Partnership for Advanced Computing in Europe) since its inception. The Jury has awarded the highest distinction of the Night, the Honor Prize - for the first time also internationally-, to Roberto Viola, Director General of the DG CONNECT (Directorate General of Communication, Networks, Content and Technology) at the European Commission. Viola has a great capacity to influence the European Union, from where he has led initiatives such as the end of European roaming, the implementation of the first pilots in 5G or the Galileo and Copernicus programs. He is also the driving force of two major initiatives currently underway: the EuroHPC program and the coordinated European program on Artificial Intelligence. The BSC is one of the drivers of the EuroHPC program, key to the advancement of supercomputing in Europe. Roberto Viola thanks the award and highlights the role of the BSC in the following video.